College freshman Amanda Greene parties the night away and wakes to find that something isn’t quite right. She’s registered to take a history class that she knows she didn’t sign up for. A shadowlike figure is constantly following her. Memories from her past start surfacing – memories she doesn’t want to remember. Will Amanda ever figure out what is happening? When this book arrived in the mail, I was surprised by how small it was. At only 140 pages, it was quite a swift read. Usually, short books aren’t my cup of tea, but The History Major ​was an exception. The first thing to note was the gorgeous book cover. Although very simple, bursts of colors compliment grayer tones nicely. The writing style that the author implemented in this story was different from a lot of young adult books I’ve read. The author’s words didn't make the reader feel stupid or juvenile, like some young teen books do. At times, I found it hard to relate to the main character and found the side characters could be insulting. However, this may have been the author’s objective, in which case he executed it well. Another thing I liked about this book was the plotline. Although slightly hard to follow at times, it was a very interesting plot that I was greatly invested in. 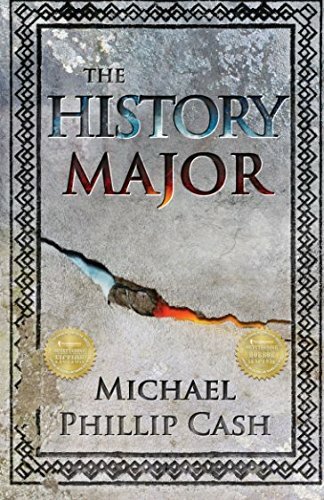 With an intriguing plot and unique writing style, The History Major by Michael Phillip Cash is sure to impress. There were mentions of past childhood abuse and a few violent scenes.